What’s one thing Tiger Woods always carries on the golf course? A quarter from 1932. Woods and Fred Couples sat down with GOLFTV earlier this week to chat about their relationship and preview the inaugural Celebrity Cup at the Genesis Open on Monday. One of the questions they were asked was if they have any certain phobias or superstitions. Woods’s dad, Earl, died in 2006 at age 74. Woods’s superstitions go beyond just that quarter, though. 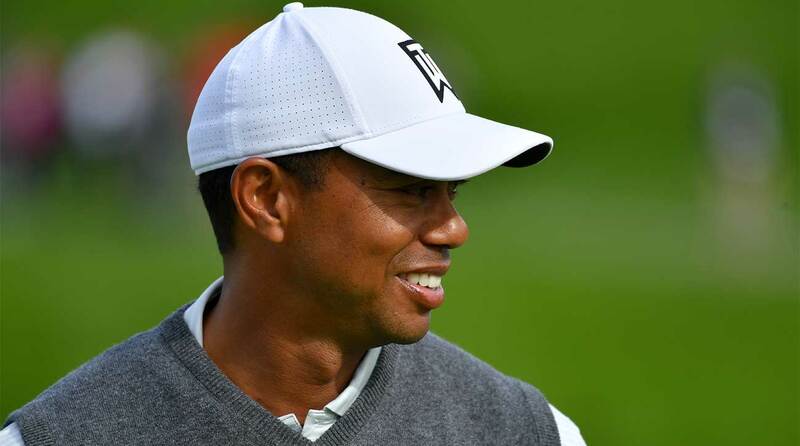 Tiger Woods at the 2019 Farmers Insurance Open. While Woods didn’t necessarily say if the 1932 quarter is the one he uses to mark his ball (or just carries it), we do know how he decides if he marks heads up or heads down. This all started at the 1996 U.S. Amateur when Woods faced off against Steve Scott. Scott was two up with three to play when he asked Woods to move his mark on the green. Woods obliged, but almost forgot to move it back to its original location, which would have resulted in a loss of hole and loss of the match. Scott reminded him, and Woods sunk the putt to win the hole and later win the match, his third straight U.S. Am championship. You can watch the entire GOLFTV clip with Woods and Couples below.